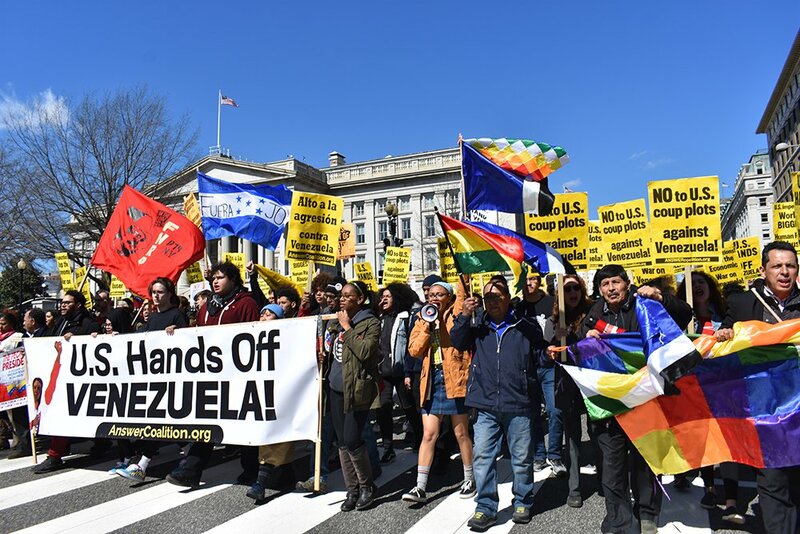 According to statement of the Party for Socialism and Liberation (PSL), the largest demonstration to date inside the United States in opposition to Donald Trump’s planned coup in Venezuela took place in Washington D.C. on March 16. The action, initiated by the ANSWER Coalition of which the PSL is a key member and endorsed by scores of progressive organizations and hundreds of grassroots leaders, gathered in front of the White House to say no to sanctions, the coup, and war against Venezuela. The video from the event can be watched here.